Level Quick Rapid Setting Self-Leveling Underlayment is a bagged mix used to create a level surface for installing ceramic tile, stone, carpet and other types of flooring. 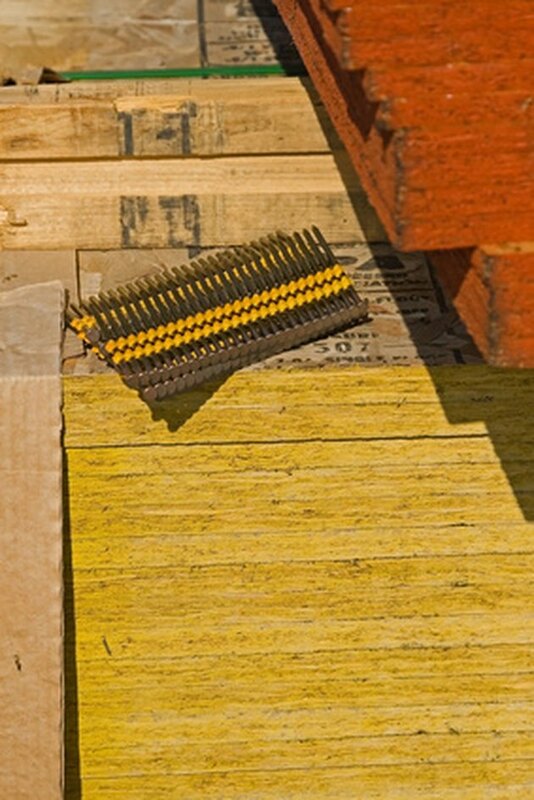 It is approved for both indoor and outdoor use and can be applied on top of concrete and plywood subfloors. Once poured, the solution automatically levels itself so that no additional smoothing is required. When dry, you can install any type of flooring without having dips and slopes in the floor. Self leveling underlayments create a level floor surface. Sweep the entire floor with a broom to remove dirt and dust. Open a can of latex primer and pour it into paint tray. Insert a long-handled roller into the tray and use it to apply one even coat of primer to the entire floor. Pour 6 1/2 quarts of water into a large bucket and pour in the entire bag of Level Quick Underlayment mix. Insert a mixing paddle onto the end of an electric drill, place the paddle into the bucket and turn on the drill to begin mixing the contents. Mix for at least two minutes until all the powder and water are combined and there are no lumps. Pour the mixture into a paint tray. Use a long-handled paint roller to apply a thin coat to the entire floor and allow it to dry for at least two hours. Pour the remaining mixture on the floor and spread it evenly using a push broom or a long-handled gauged spreader. The mixture should be no thicker than 1 inch. Allow mixture to dry overnight or for at least 12 hours before installing flooring on it.